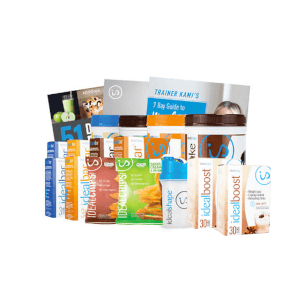 Great tasting meal replacement shake with only 100-110 calories and 2g (or less) of sugar. Controls hunger and cravings for up to 3 hours with our proprietary, all-natural, hunger-blocking blend. 11g high-quality, all-whey protein helps you build lean muscle when combined with exercise, so you burn even more fat. Slendesta is an all-natural potato protein extract specifically designed to curb your hunger. In order for IdealShake to be an effective meal replacement shake, it must give your body what it needs to be healthy. Enjoy a delicious tasting meal replacement shake that contains only one gram of sugar. Our IdealShake ® (Chocolate, Vanilla, Strawberry, Mocha, Chocolate Peanut Butter, Salted Caramel, Chocolate Cream Pie, and Orange) are gluten-free. Note: Our IdealShake ® Cookies and Cream isn't gluten-free. 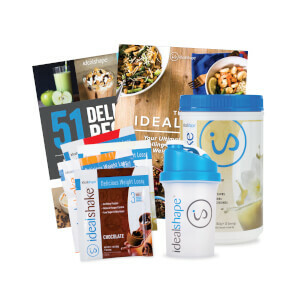 In order for IdealShake to be an effective meal replacement shake, it must give your body what it needs to be healthy. So, we've packed it full of essential vitamins and minerals. The following products manufactured by Elite Manufacturing and packaging are certified Kosher with listed restrictions. 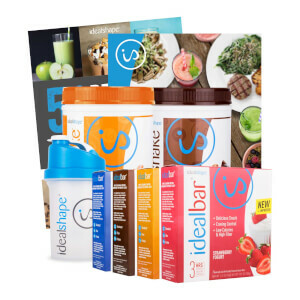 IdealShake attacks hunger in three ways: fiber, all-whey protein, and the powerful and proven hunger-blocker, Slendesta. This dynamic blend is exclusive to IdealShake and will keep you feeling full for hours!